Happy Friday! 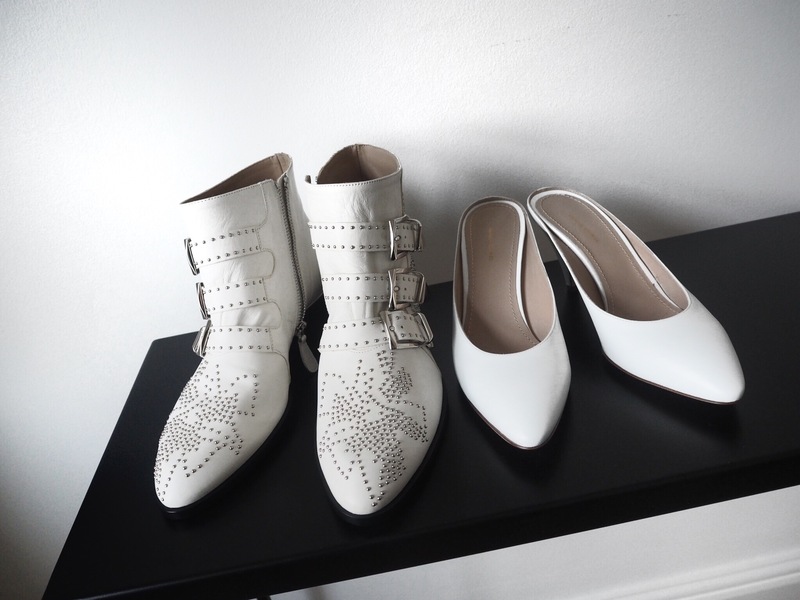 I wanted to focus todays post on white shoes because I promise you they are going to be huge. 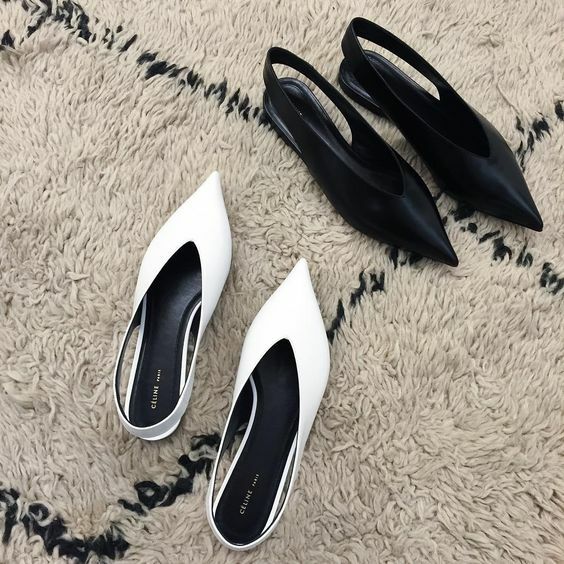 It all started with Celine’s low-V shoe (which btw are also set to be big again for Spring…so flattering!) 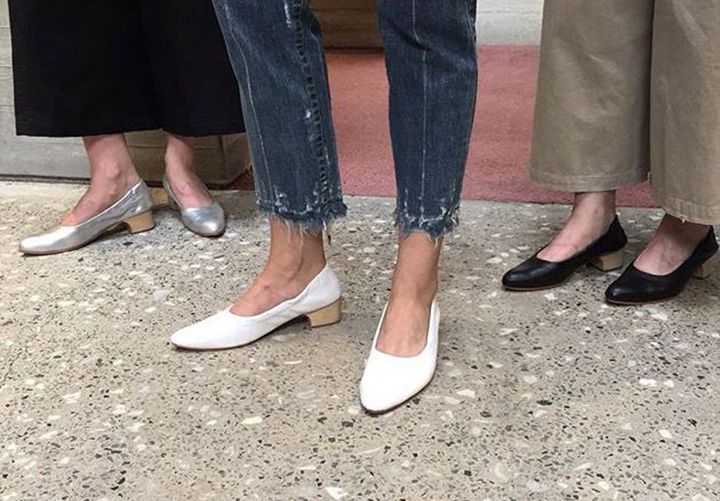 and now every designer from Chloe to Topshop is offering their take on the white shoe. I havent worn white shoes since my wedding but I am sold already. So much so that I got two pairs. Balenciaga have brought out their chunky military boots in white, Chloe do the studded ankle boots in white (got these!) and everyone from ASOS to Mansur Gavriel is doing a slip on heel. Are they practical? Probably not but they are so chic and go with EVERYTHING (plus if you buy one of those leather sprays they are pretty good at preventing marks.) Admittedly the boots might be more difficult to pull off (you cant exactly rock up at an office job wearing them) but you can go for a more subtle take on the trend by opting for the Topshop slingbacks or the Mansur Gavriel heeled ballerina pumps. Also how fab are these no.21 slippers? (LOVE this brand) I’ve rounded up ALL my favourites below – click on the images to buy!